Four-line SynJTM system base is expandable up to ten handsets or desksets. Includes a separate mailbox and auto-attendant voicemail on each line. The large backlit display on the base and each handset is easy to read. Features three-way calling, speed dial, redial, mute, hold, selectable ring tones and remote access. Sold as 1 EA. 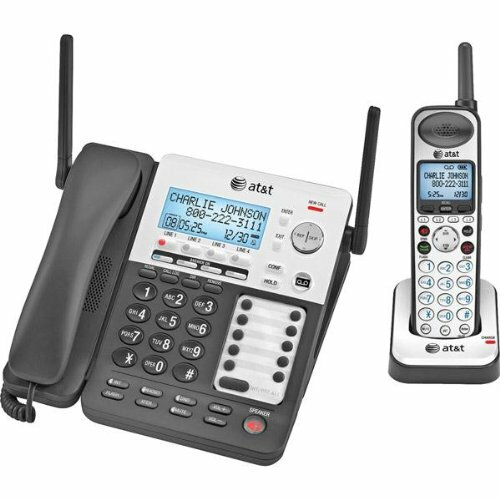 Four-line SynJTM system base is expandable up to ten handsets or desksets. Features three-way calling, speed dial, redial, mute, hold, selectable ring tones and remote access.